I made some “shoyu chicken” a while ago. (ONO ONO means – VERY delicious.) 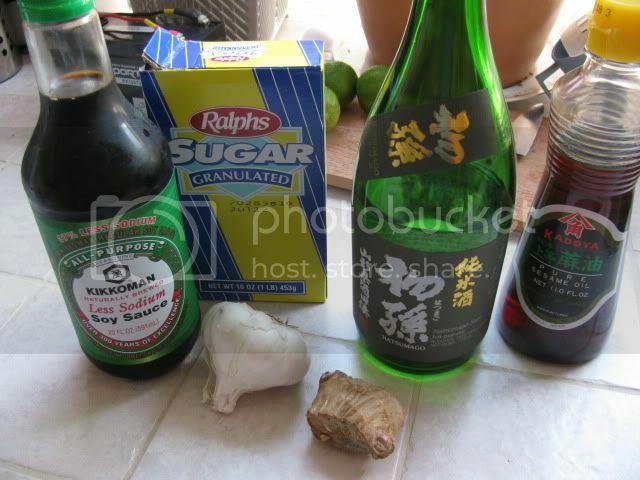 It starts with a simple marinade, the ingredients look like this . . . . I decided I wanted to try trimming the thighs “competition style.” I need more practice, but this is what I did. It took a long time to do all this surgery, but it was worth it, since there is a lot of un-needed fat that you can throw away. 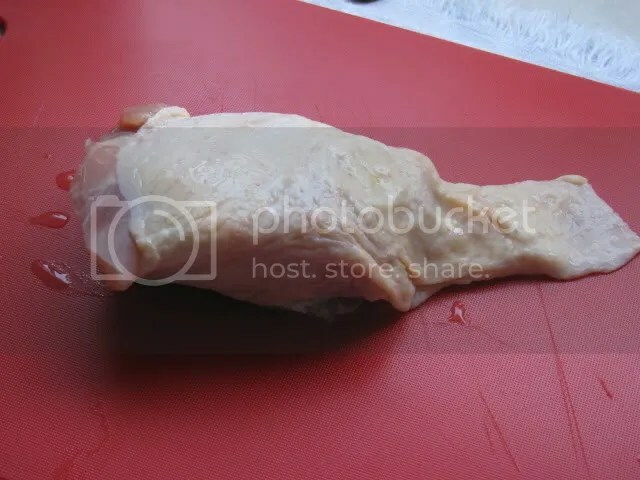 Thighs from the supermarket had this weird flap of extra skin. Yeah, I do love eating that stuff, but I decided to trim it off. 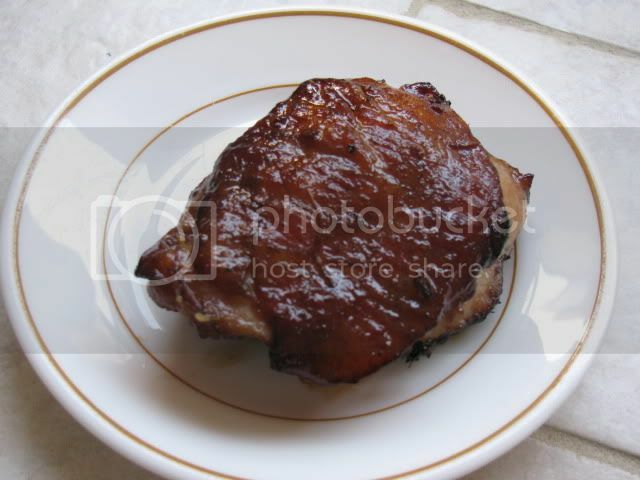 Chicken thigh from the local supermarket – all kinds of extra skin. 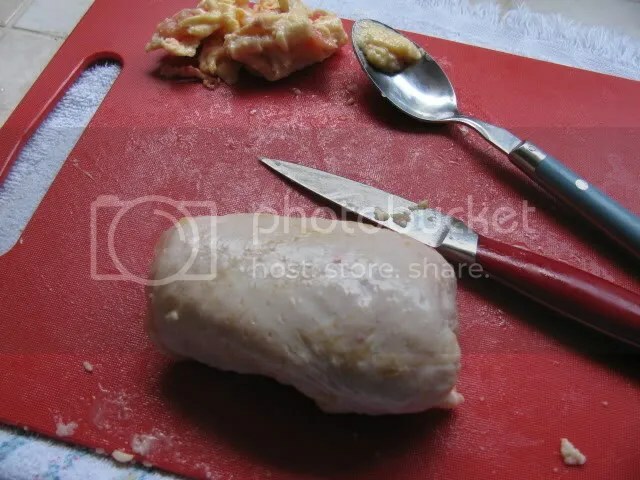 After trimming the excess, pull the skin away from the meat. If this process bothers you, you may want to think of this as a biology lab session. All this surgery is not for the faint of heart – and stomach. 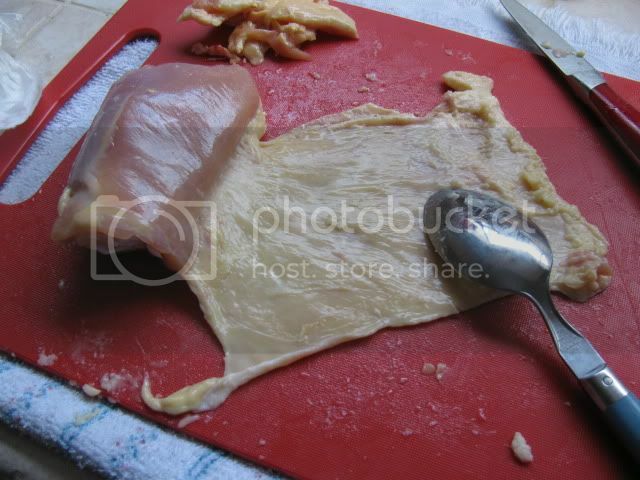 Pull the skin away from the meat, and scrape the pasty fat away. 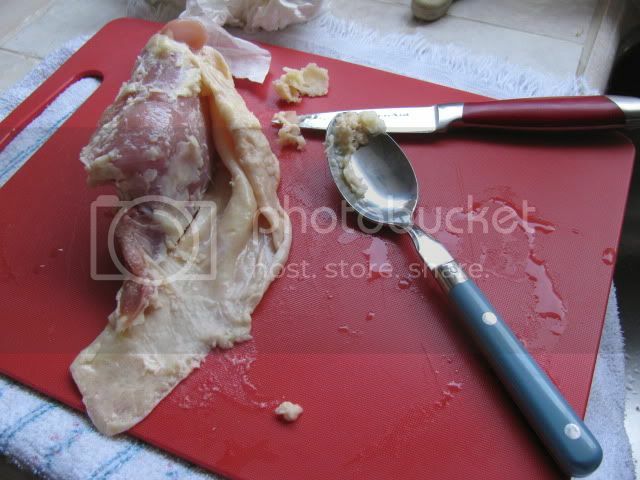 I used a spoon and a paring knife to scrape the fat from the inside surface of the skin. Use various tools to scrape the fat away. Keep scraping, but try to avoid damage to the skin. Once the excess is scraped off, stretch and wrap the skin back on the thigh meat. I removed about a tablespoon or so of this excess stuff from each thigh. This is what it looked like. The guy performing the demonstration made his thighs look like little pillows, almost like a perfect, puffy rounded rectangle. Amazing. 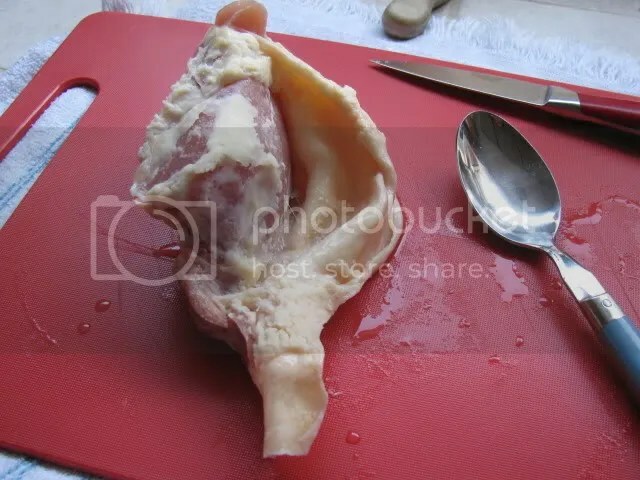 Chicken thigh after trimming and de-fatting. Prep Work Done – On to the Grill! Isn’t the color amazing? Cook until the safety zone is reached, about 160 to 170 degrees F.
Ono Ono Chicken ready to eat. 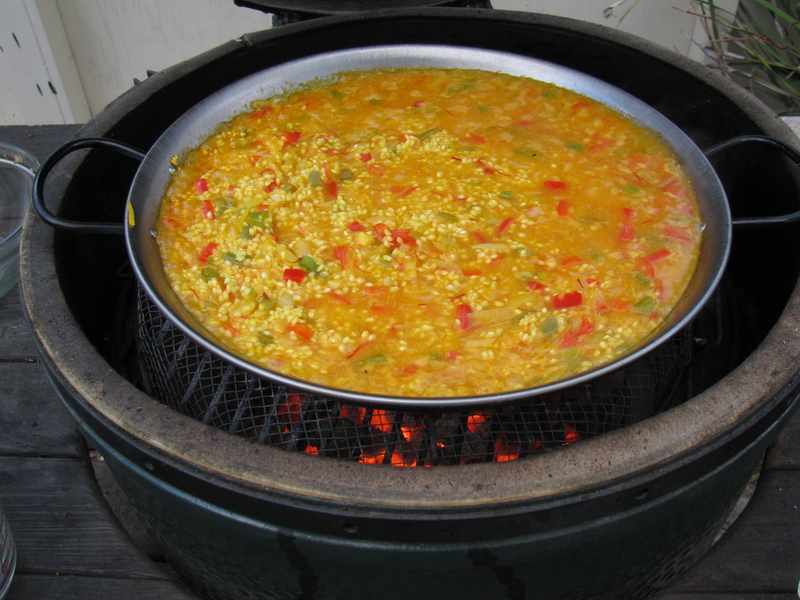 I posted the recipe on the Green Egg – EGGhead Forum in 2011. 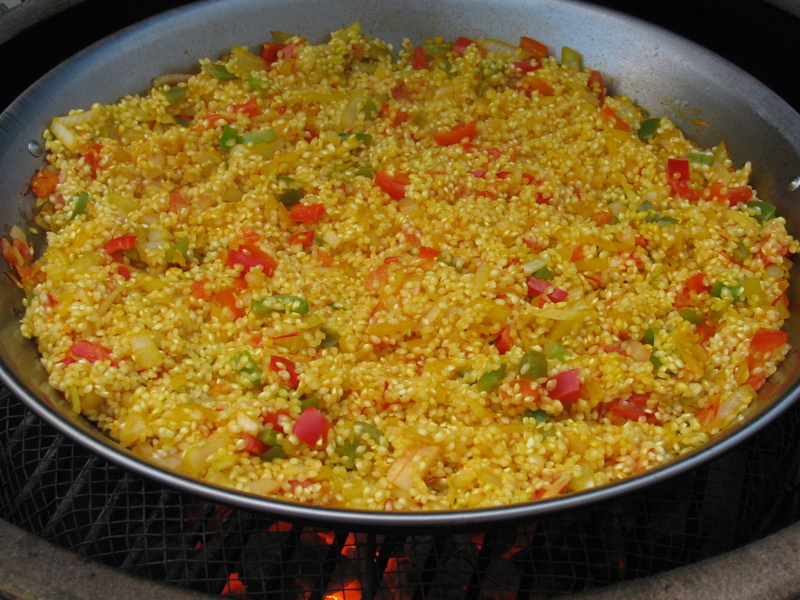 Paella is a delicious rice dish. There was a reference to paella on a Seinfeld episode. I have eaten lots of paella, but never made it. So, after several Maker Faire events in the Bay Area, I really wanted to try making my own. Based on a recommendation from a fellow Big Green Egg fan (Thanks Dale! 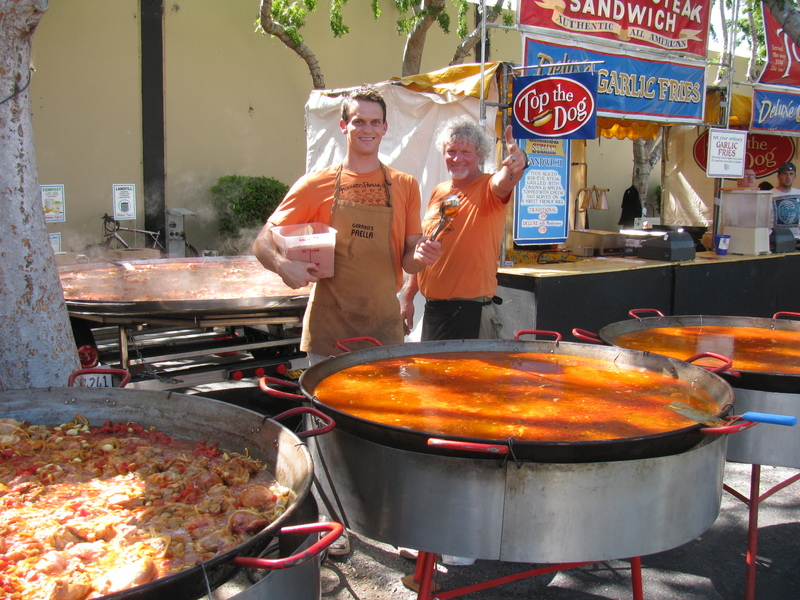 ), I bought a paella pan made in Spain and Bomba rice from La Española Meats, Inc. in Harbor City, CA. My 15-inch pan would be perfect for my Large Big Green Egg – except for the handles. 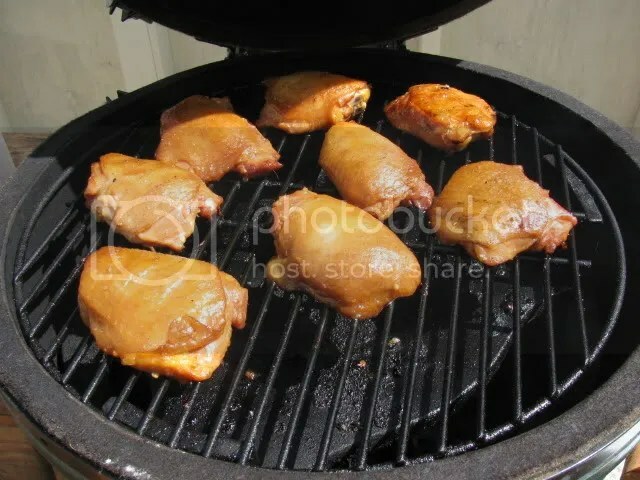 They are too big and prevent the pan from sitting on the grill grate. I think I can bend the handles so it will fit the 19-inch grate on the BGE. I didn’t let this glitch stop me. 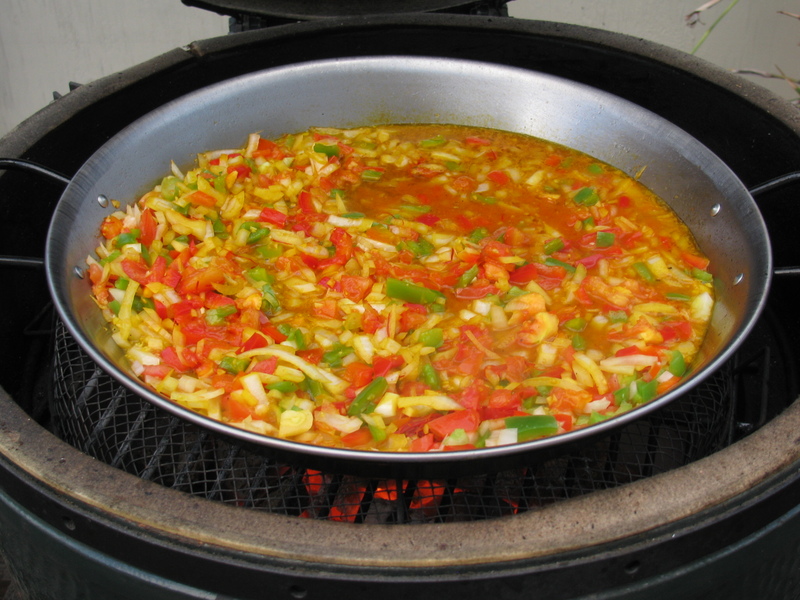 I inverted the grill basket used for the vegetables, and put the paella pan on top. 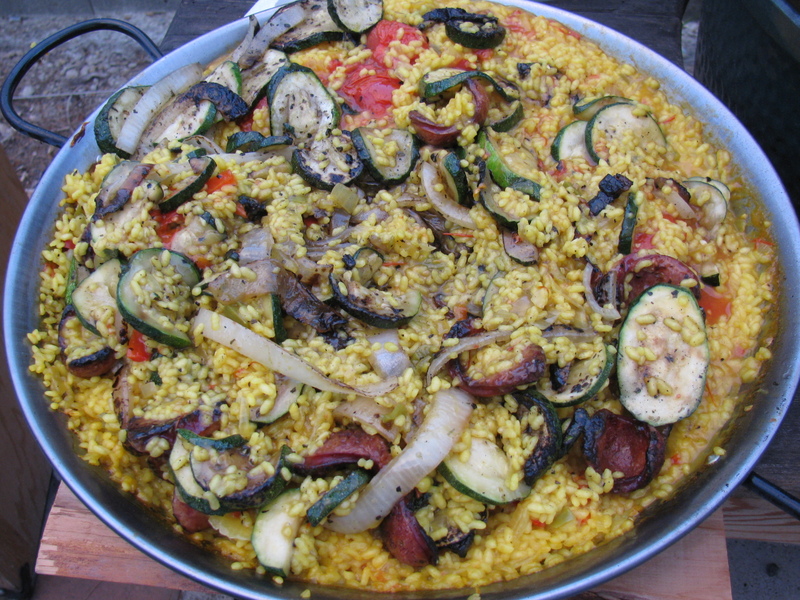 If you look closely at the pictures, you can see the basket under the paella pan. Seemed to work OK.
Of course, my paella pan is not as big as the giant ones used by Gerard’s Paella at the Maker Faire, but my pan is large enough to make 8 servings. I used Steven Raichlen’s recipe from Primal Grill, Season One as a starter. (“Paella Primavera (with Vegetables and Beans But No Meat.”) His version is vegetarian, using all roasted veggies and vegetable broth. I had some Portuguese sausage in my freezer, and chicken stock, so I used them in my first attempt. 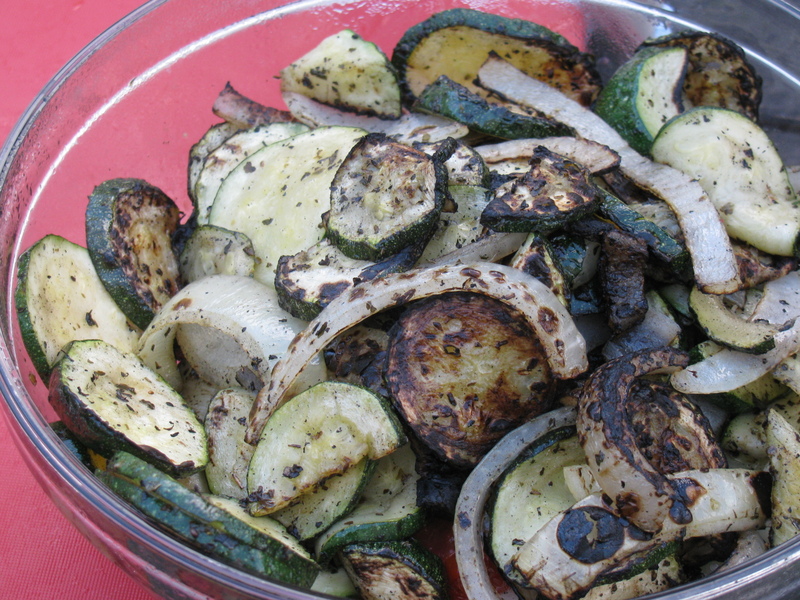 Here are the grilled veggies – Onions, garlic, red and green bell peppers, tomatoes, zucchini squash. These were direct-grilled in a basket. I used extra virgin olive oil and tossed on some sea salt, oregano, black pepper and basil. Next, I direct-grilled the sausages in the basket. 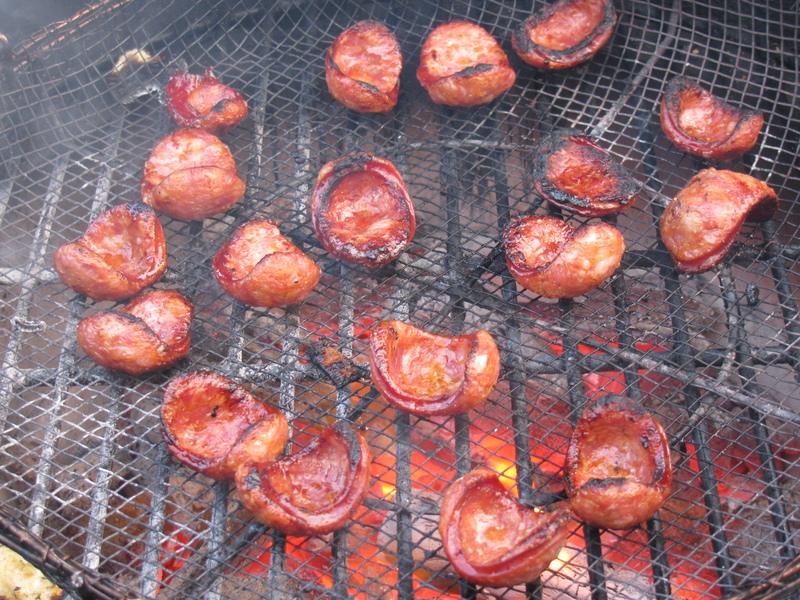 These were Hoffy brand Portuguese sausages. I wasn’t too pleased with this sausage. It was not bad, it was just a little too plain and mild for me. I still have several other brands of Portuguese sausages from Hawaii in my freezer. I need to test those soon. I heated up the paella pan and added some olive oil. This is the chopped onion, garlic, peppers, saffron and chicken broth. . .
After several minutes, I added the Bomba rice. . . . I almost panicked as the broth dried up – the rice was not fully cooked, and I was afraid of scorching the pan and ruining the dish. But, I quickly added some chicken bouillon to add more liquid. I had to add a total of four additional cups of liquid to get the rice just right. This is a total of 10 cups of broth. Not sure why this is so much more than Raichlen’s version. I do not recall how long I cooked this dish – I just cooked until the rice was tender. Here is the dish with all the liquid absorbed. Bomba rice is nice and tender, and very tasty. Bu wait – there’s more. . .
Next, I added the grilled vegetables and the sausage. . . This would be a great one-pan party dish for a good sized and hungry group. 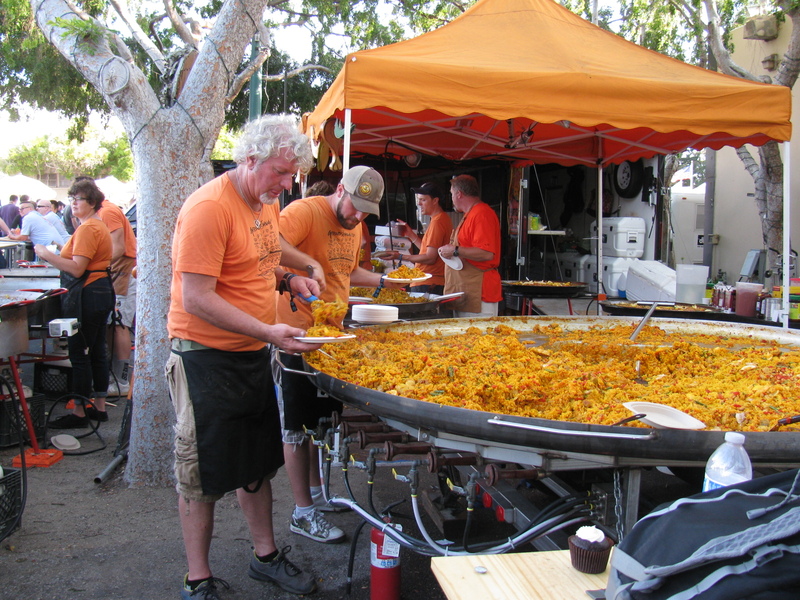 Every year, the Maker Faire hosts a paella dinner for the Makers. This year, the event was sponsored by Liquid Wrench. 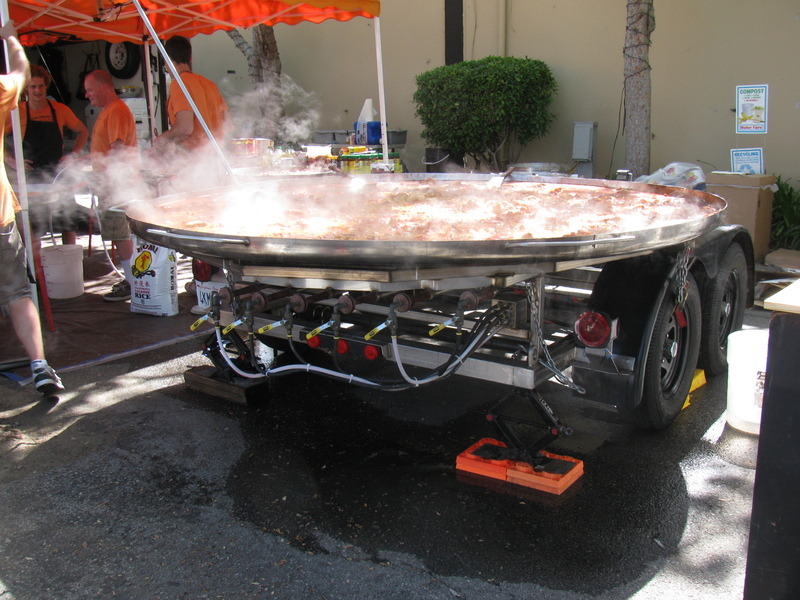 Here are some images, and you can watch the Paella video on channel KH6WZ. 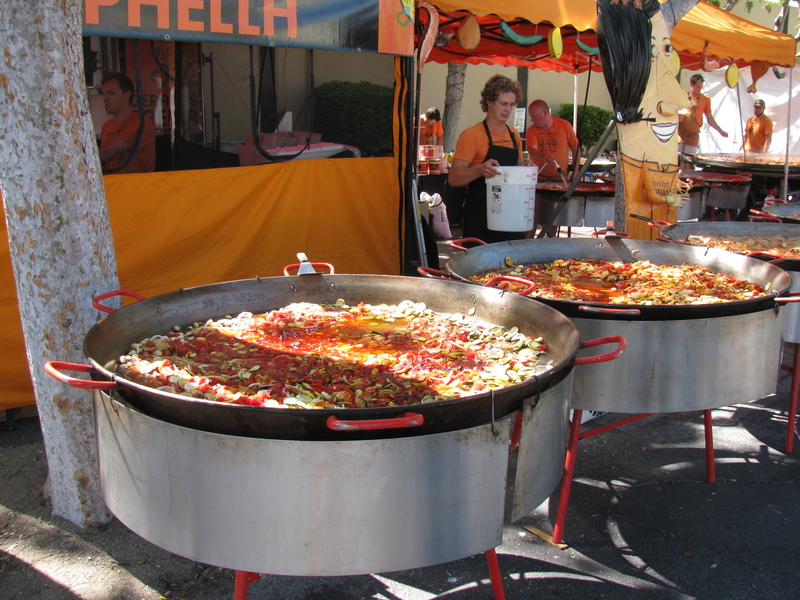 . .
Gerard’s Paella feeds 2,500 people very quickly! 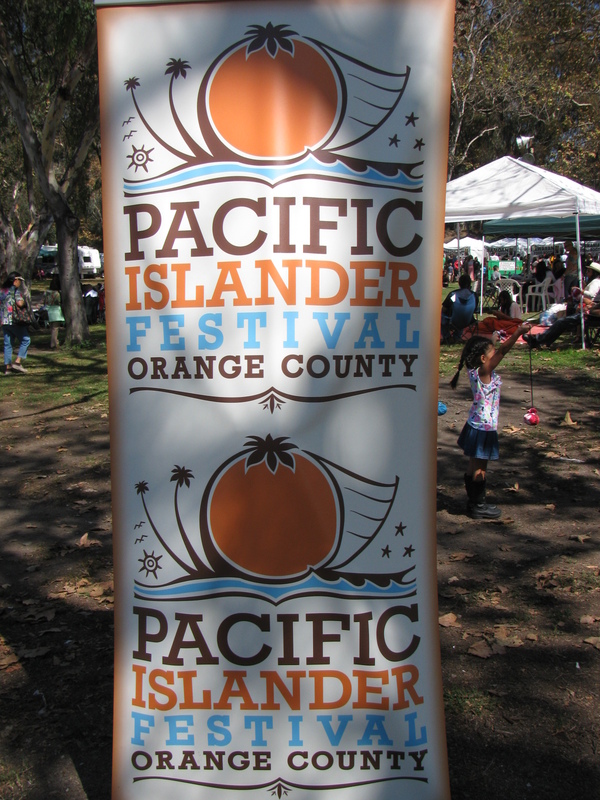 The disaster Preparedness Expo at the Huntington Beach Central Library on September 21 coincided with the Pacific Islander Festival Orange County. 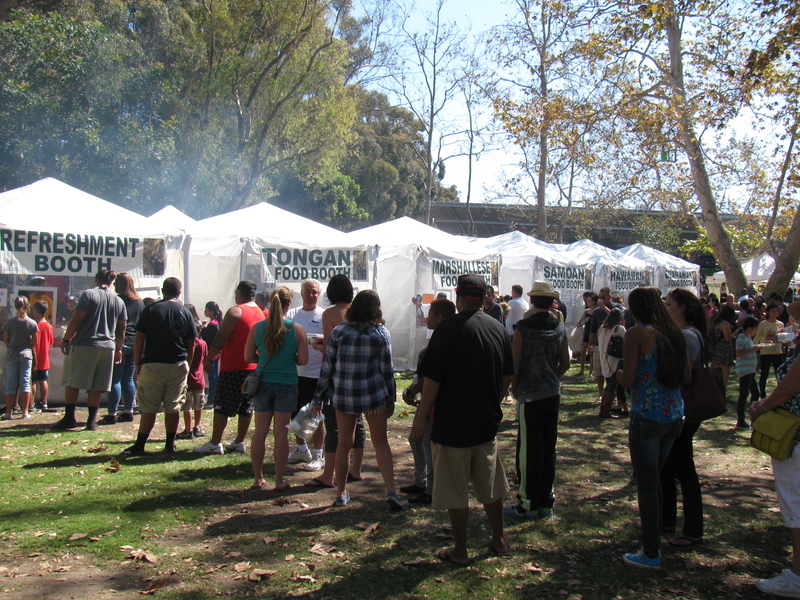 It was the 6th annual event…. I stopped to take some pictures and bought a t-shirt, but didn’t stay to watch the programs. 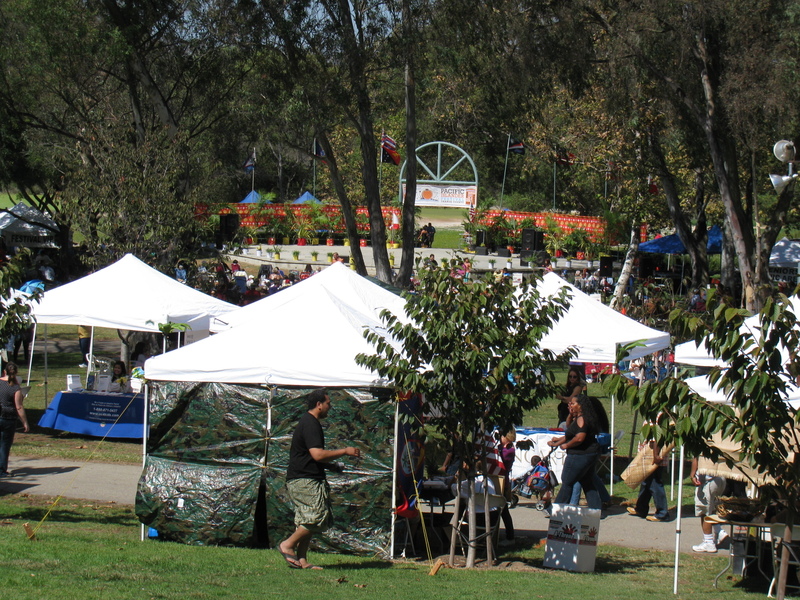 There was plenty of exotic foods and displays. Looks like I should visit this event next year. Aloha. 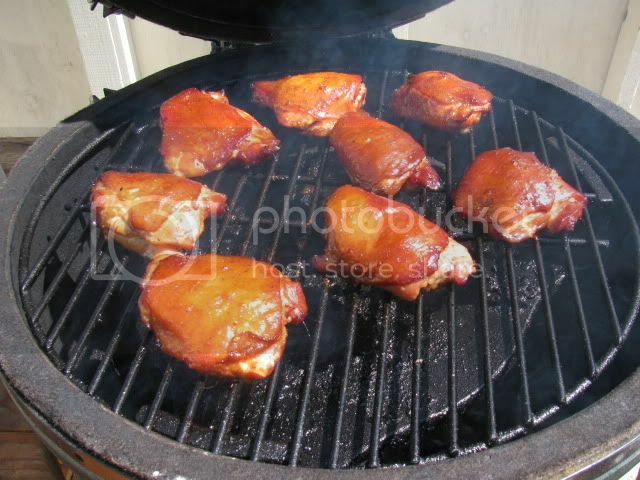 Someone asked me where my BBQ information and pictures are on this site. I have not posted any of my BBQ projects lately, but here is something from the archives. This is a pair of tri-tip roasts on my Big Green Egg ceramic cooker. This was my first cook using a new Maverick wireless thermometer. It allows me to roam around the house and yard while monitoring the grate as well as the meat temperature. It includes a low- and high-temperature warning. One unit stays with the cooker, and the other unit has a wire belt clip and looks like a cell phone. 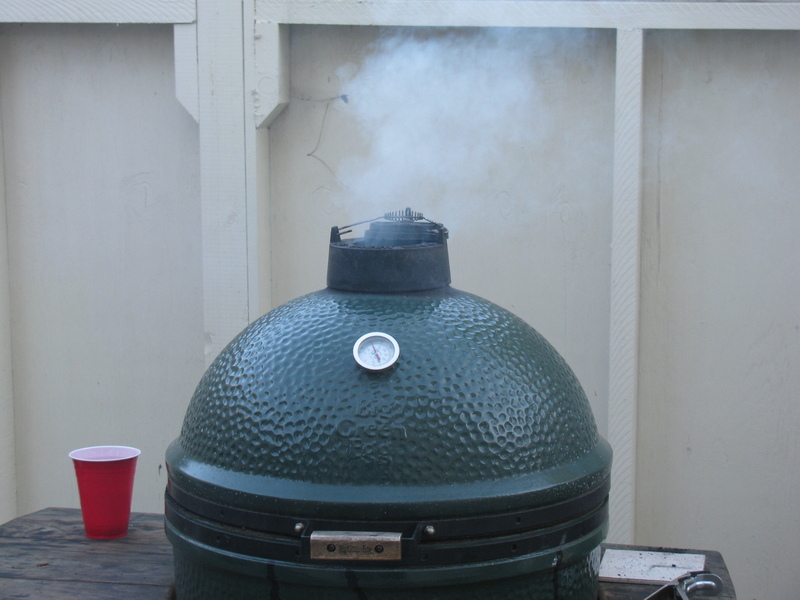 Beef tri-tip smoke-roasting on the Big Green Egg. The wires you see in the picture are for the Maverick remote thermometer. 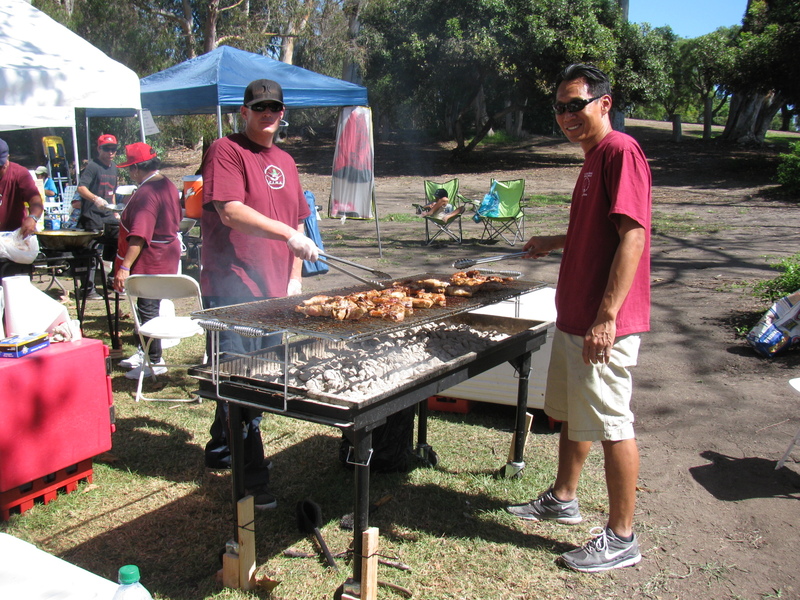 One probe goes into the item being cooked, and the other probe monitors the grill temperature. The remote unit has a digital display for timing and high- or low-temperature. 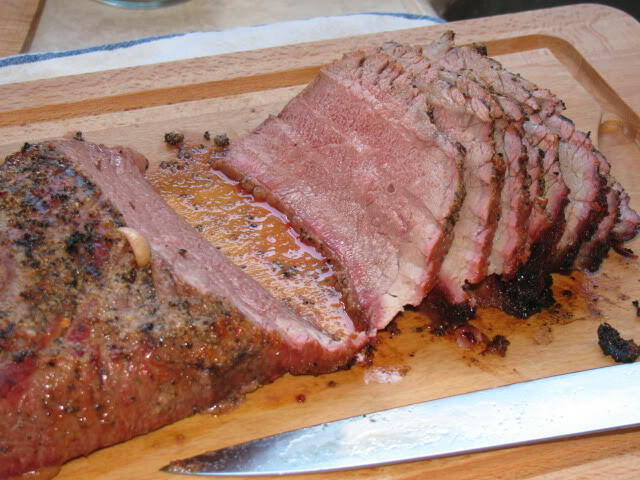 Santa Maria Style Beef Tri-Tip – amazingly juicy and tender.